The idea of an art installation is usually one where visitors are invited to appreciate and empathise with the completed and pristinely framed art works. 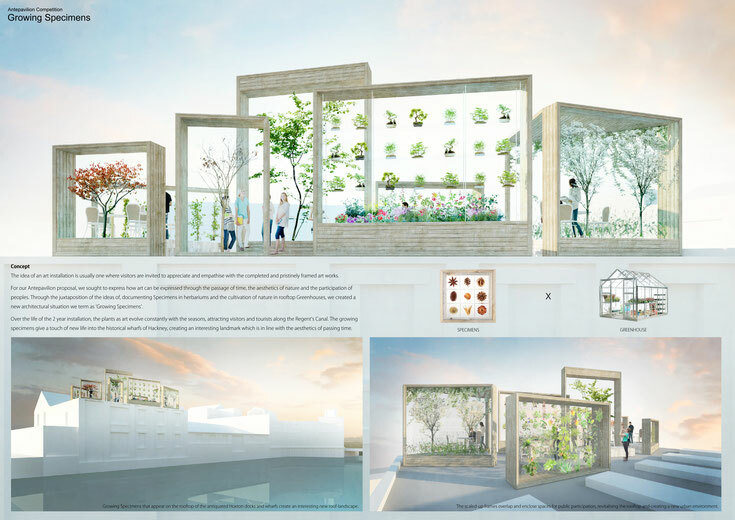 For our Antepavilion proposal, we sought to express how art can be expressed through the passage of time, the aesthetics of nature and the participation of peoples. 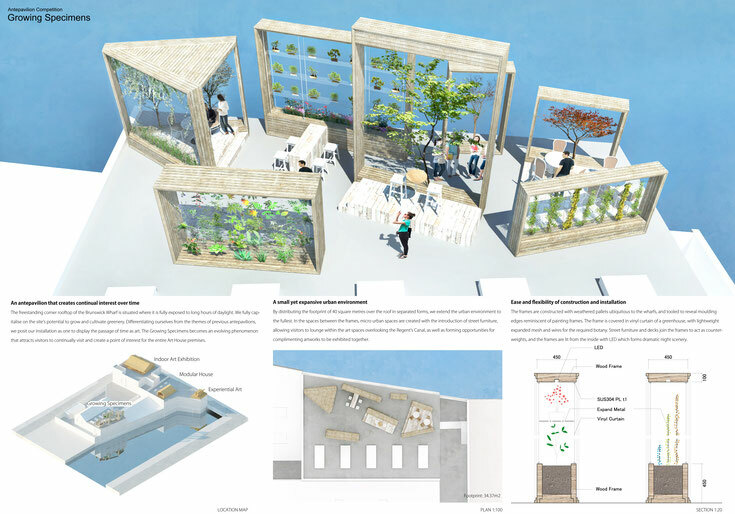 Through the juxtaposition of the ideas of, documenting Specimens in herbariums and the cultivation of nature in rooftop Greenhouses, we created a new architectural situation we term as ‘Growing Specimens’. Over the life of the 2 year installation, the plants as art evolve constantly with the seasons, attracting visitors and tourists along the Regent’s Canal. The growing specimens give a touch of new life into the historical wharfs of Hackney, creating an interesting landmark which is in line with the aesthetics of passing time.